Parenting is filled with quick fixes that take care of the moment but don’t solve the problem; these are times when you’re buying yourself time. You never intended to live by the quick fix. Your child sleeps in your bed tonight but not tomorrow. Your child eats chocolate before breakfast, just this time. Or this is the last time you buy another stuffed animal to quiet a tantrum. You are hoping against all reason that the problem will simply go away. These are all times of giving in, not because you want to or because you believe in your decision, but because you just don’t have the energy to do otherwise. All parents have these moments, because they are human. Before you know it, the quick fixes start to define your parenting style, creating a spiral of entitlement. Your child starts to feel entitled to an immediate solution. Pretty soon, you’re not just giving in, you’re giving up. You are exhausted, frustrated, and hopeless. 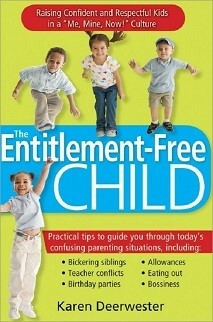 Your child’s sense of entitlement fuels more parenting panic, which escalates to the next quick fix. When you feel the frenzy to fix your child’s unhappiness, you grab for the first solution you see. There’s no time to think. You feel like a person being swallowed in quicksand. As every quick fix falls short, you find yourself sinking deeper and deeper. More often than not, you’ve probably tried other ways, and they just don’t work with your child. You’ve told, asked, threatened, or repeated hundreds of times, and your child isn’t listening. What else can you do? First, understand that real-world parenting often comes into sharp conflict with our image of parenting. For example, when you tell children something, they don’t “get it” immediately. They don’t hear the rules once and comply evermore. You may do everything “right,” and your child will continue to test your sincerity, still make poor choices, and still struggle with maturity. In the real world, it takes a long time to become mature. The quick fix distracts you from a more effective goal. Instead, you can learn to appreciate your child’s abilities and to create positive environments in which your child may grow and thrive. You can understand the value of mistakes, which allow your child to practice skills in a variety of settings under a variety of conditions. Learning takes time, even for the brightest of children. Check out The Entitlement-Free Child for slow, deep, genuine learning that lasts a lifetime!